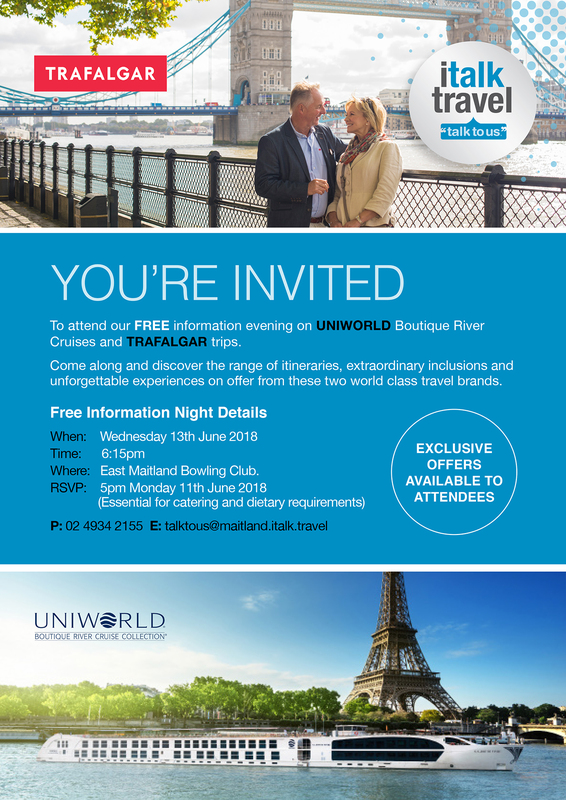 Our clients are exclusively invited to attend italktravel’s FREE information evening on UNIWORLD Boutique River Cruises and TRAFALGAR trips. Come along and discover the range of itineraries, extraordinary inclusions and unforgettable experiences on offer from these two world class travel brands. To attend you must RSVP by 11th June 2018 by filling in your details below.